We are offering Classic Laminated Wooden Flooring to our clients. Under the light and cherished mentorship of our customer interest, we are engaged in offering with an impeccable and quality approved assortment of Wooden Flooring. We are involved in delivering a wide series of Xtenca Wooden Flooring. Our enterprise is actively engaged in trading a wide collection of Wooden Flooring. We are foremost organization, actively occupied in providing a wide range of Wooden Flooring. We are engaged in offering a wide range of Hall Wooden Flooring to our clients. Our offered wooden flooring is manufactured from the modern techniques & best quality material in adherence with the set market trends. 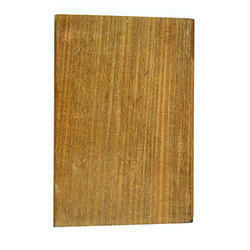 This wooden flooring is available in numerous designs & finishes as per the needs of customers. Specifications: Material: WoodColors: Available in all colors. We are passionately engaged in providing an exclusive array of Laminated Wood Flooring that is availed in different specifications and different brands like:- pergo, krono swiss, eeger, lami wood, cavalier, action tesa, greenply. We are a well-known name, involved in providing an extensive series of Wooden Flooring.